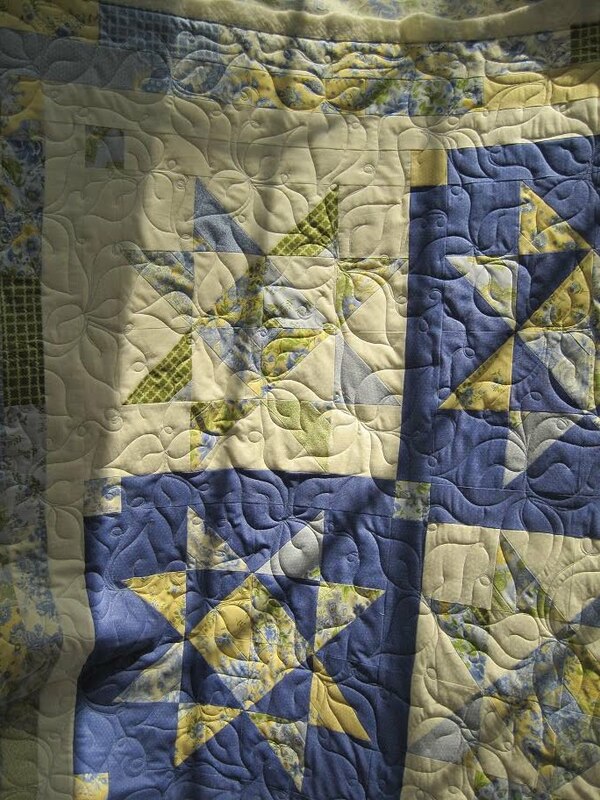 There is something about Blue and Yellow quilts. They always look so incredibly clean and crisp. This beautiful top was pieced by Julia. 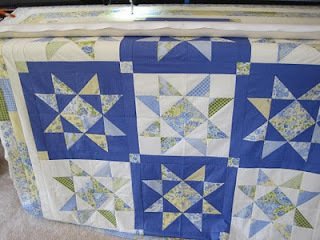 It is a Jelly Roll quilt, but it really doesn't look like one. Julia has a plan for this quilt and decided on UNC blue thread. The after picture is dark, so you can't see the thread color, but the blue thread really worked well on this quilt. Since the backing and a lot of the fabrics were florals, I used an all over Pothos leaf design. It is one of my very favorite all over quilting designs. I love the texture it gives and quilting the tendrils is really fun.